Shameek is Chief Data Officer (CDO) at Standard Chartered Bank, and is a member of the bank’s global IT and Operations Management Team. 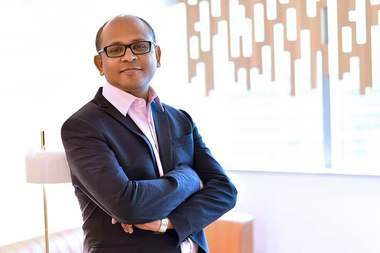 As CDO, Shameek is responsible for Data Strategy and Data Quality governance, and plays a key role in shaping the bank’s response to regulatory/ industry initiatives on Artificial Intelligence and Advanced Analytics (e.g., as a member of the Monetary Authority of Singapore’s Fairness, Ethics, Accountability and Transparency committee). Shameek is also the Chief Information Officer (CIO) for corporate functions. In this role, he oversees all technology delivery across Finance, Compliance, Risk and HR, including the collaboration with “RegTech” partners to leverage data, analytics and AI to improve the effectiveness of control functions. Prior to this, Shameek led the bank’s Big Data / analytics and traditional data warehouse technology platforms, and the bank’s innovation centre (“eXellerator”). In these roles, he played a key role in enabling the Group’s innovation agenda through engagement and experimentation with Technology start-ups. Shameek joined Standard Chartered Bank in August 2009. Prior to that, he was with McKinsey & Co. in London, where he was a member of the Technology and Banking practices. In this presentation Shameek will share with the audience how should data professionals position themselves and ready for the challenges in front of the rise of AI.